Recorded at June 19 & 20, 1992 at Abbey Road Studio No. 1, London. 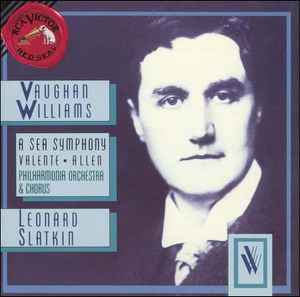 Cover photo: Vaughan Williams Memorial Library. Courtesy of Ursula Vaughan Williams. Includes lyrics. Text from "Leaves of Grass" by Walt Whitman. © 1918. © 1993, BMG Music · ℗ 1993, BMG Music · Manufactured and distributed by BMG Music, New York, NY. · Printed in USA.